You may find the following videos offensive, if you deem the videos unsuitable for your children, please do not show them. Show these videos at your own discretion, they are designed for children to help them understand the risks that the internet could pose. For parental control features such as Internet and Website filtering please contact your ISP (Internet Service Provider, example: Sky, BT, Virgin etc) and ask them: "How to enable parental control on your home broadband" as this varies from each company. Failing this, they should all have information on there website on how to do-so. The official ESRB website, provides methods on how to set parental controls for personal devices and game systems. These include: PlayStation 3 & 4, PlayStation Vita, Xbox One & 360, Nintendo Switch & Wii (U) and Nintendo 3DS & DSI & PC. You could also download the easy-to-use K9 Software for your Windows Computer. Thank you to the parents who attended the esafety workshop. We will be running the workshop again during parent's evening in the Summer Term. Some parents have already added privacy settings to their devices to help to keep their children safer on the Internet. 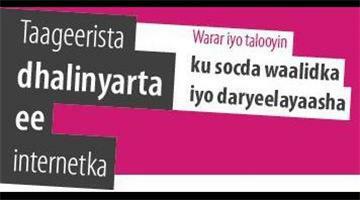 A parent was asking for help with E safety in Somali. 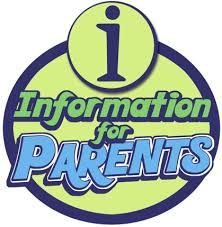 Below is a link to a factsheet to help support parents. Years 2 and 3 saw an interactive production called 'Sticks and Stones' by the 'Firehorse Theatre Company'. The theme of the production was 'anti bullying'. Anglesey Primary School ensures that every child knows how to be safe and responsible on the internet. We do this by teaching E-Safety regularly to children in class and displaying the rules throughout the school. We are more than happy to help or give advice to any parents on how to improve E-Saftey at home. Kid Smart E-Safety Please visit Kid Smart for more details. We've tried to make this resource as accessible and practical as possible, and there's a whole wealth of detailed information on a wide range of issues. There are also lots of leaflets and guides for you to download in our resource centre. However if you're busy and just want a quick overview, select quick overview in the menu for a short presentation. This is in English, Arabic, Bengali Gujarati, Mandarin, Polish, Punjabi, Urdu and Welsh. The summary information and the advice for younger children is also in British Sign Language. Keeping up to date with how young people are using this amazing new technology is challenging but it is vital that we do. To watch the presentation for parents. Click on this link. If you have small children from 4 - 7 years then you should let them view this short 10 minute CEOP cartoon called 'Lee and Kim', which is designed to keep them safe whilst online and more importantly, this cartoon teaches them in their early years. Read 'The Adventures of Smartie the Penguin' by clicking the link below. Find out about Kara, Winston and the Smart crew for 7-11 year olds.